What is the TOLES Certification? The Test of Legal English Skills (TOLES) was developed through exhaustive investigation and consulting with major law firms to understand their real needs in a wide gamut of commercial legal contexts. It has been developed under the technical advice of highly experienced specialist lawyers with an eminently practical approach. Currently, because of its direct relationship to the practice of law, TOLES is a first-rate tool for measuring and certifying legal language skills in English. A great number of International law firms recognize the TOLES for its relevance, feasibility, and accuracy. What advantages does TOLES certification offer to law firms? What advantages does TOLES certification offer to Practicing Lawyers? What is Tested? : It tests basic grammar accuracy and legal vocabulary in real situations with attention to correct details more. The higher exam requires mastery and total accuracy of international legal terminology, proficient use of advanced grammar, punctuation, high sensitivity to tone and register. The exam requires correct interpretation of current legal topics and cases and absolute accuracy in the use of collocations, prepositions and legal terminology. Recommended Training materials: ‘The Lawyer’s English Language Coursebook’ and other legal English books/materials available at an advanced level. Some study of commercial contracts and standard terms and conditions is recommended at this level. Do you want to prepare for the TOLES? EES is the official TOLES Legal training and testing center in Chile. Our TOLES preparation courses are designed to guide the student to achieve excellent performance on TOLES Certification, be it the Foundations, Higher or the Advanced exam. EES has been successfully preparing legal professionals to communicate clearly and effectively in Â legal contexts . Â At EES we know that successful TOLES certification needs to be true reflection of the student’s true ability to effectively communicate within the international legal environment. Dynamic and exam-centric, our courses encourage debate and discussion of legal topics to internalize vocabulary, texts and concepts in a meaningful context. What are the main benefits of our TOLES courses? • Use of legal vocabulary in context. Cursos de Ingles Particulares La manera más eficiente y rapida de mejorar tu Ingles. Puedes elegir al Instuctor, el horario y el día que mejor se adaptan a tus necesidades. 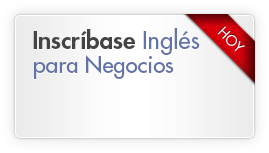 El curso Privado, one to one, de EES se adapta perfectamente a tus objetivos, desde desarrollar tu fluidez y vocabulario, hasta la preparación para entrevistas o negociaciones con extranjeros. Cursos Semi-Privados La Instrucción Semi Privada te permite avanzar rápidamente en el idioma para lograr tus objetivos, mientras compartes los costos del curso con un amigo o colega. Pagas aproximadamente la mitad de un curso one to one, pero con las mismas ventajas. Cursos Grupales Corporativos (3 a 8 participantes) Para grupos de 3 a 8 participantes de la misma empresa, el horario y programa de estudio son personalizadas y alineadas con la estrategia y objetivos de cada cliente. Cursos Intensivos Todos nuestros cursos ofrecen la posibilidad de ser dictados de manera intensiva, esto es tomando clases todos los días de lunes a viernes, 2 a 8 horas de clases al día.